UHPSI Alum Catherine Kuhn Publishes! Catherine Kuhn (MEsc ’15) worked with Ucross during her time at F&ES, analyzing gas fluxes from Clear Creak, the main river system flowing through the Ucross Ranch. 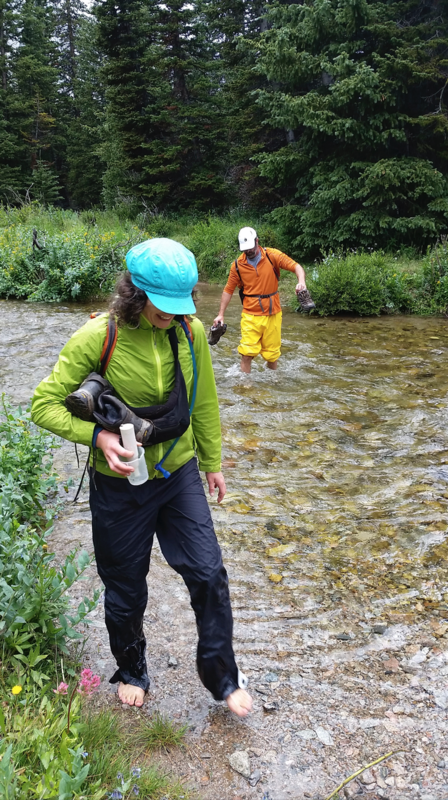 Field work took her and Ucross staff on journeys from the slow-moving river in the bottomlands of the high plains at 4,000 feet, up to the headwaters of the stream at Florence Lake at 11,000 feet. 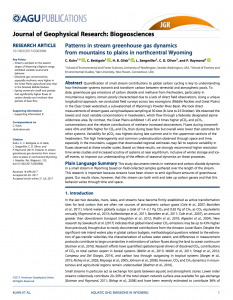 Catherine found that Clear Creak is both a source and sink for greenhouse gases (CO2 and CH4), and that this varies during time of year (peak flows during snowmelt and low flows in mid-summer), and location on the stream, with lower elevation areas much mroe likely to be producing, rather than sequestering these greenhouse gases. We’re quite proud of Catherine and her work – click here to see her complete publication, or give us a shout if you’d like further explanation. This entry was posted in Mapping, Water. Bookmark the permalink.